– Adapting compatibility game version in patch 1.24. – Rebuilt Bebunga and Paleman. – Improved roads around Bebunga and Paleman. – Not require all DLC’s. – More information look the readme. Hope you like and enjoying this mod without any problems. Thank you! 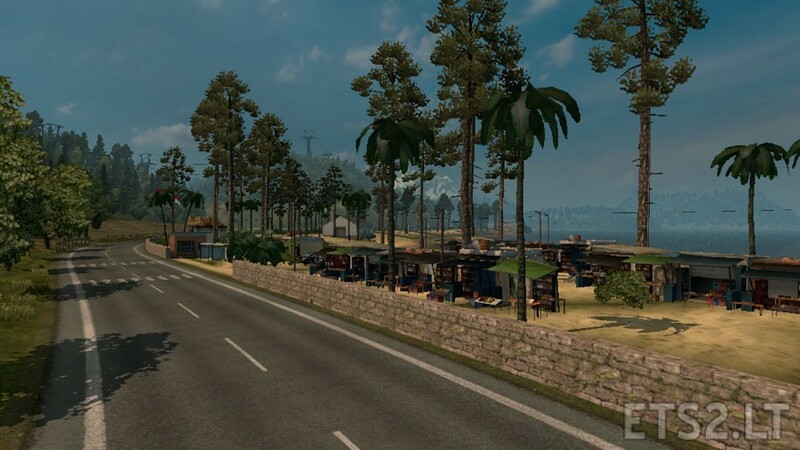 Euro Truck Simulator 2 Base Game, some mods that inspire me, all of comments & suggestion, and much more. What version? I have removed it since v1.6. In this new version there’s no start money 1000000000 like that. Ok.. thank you. Then I play the card again! Great Job. NIce Map. Beatiful Route. 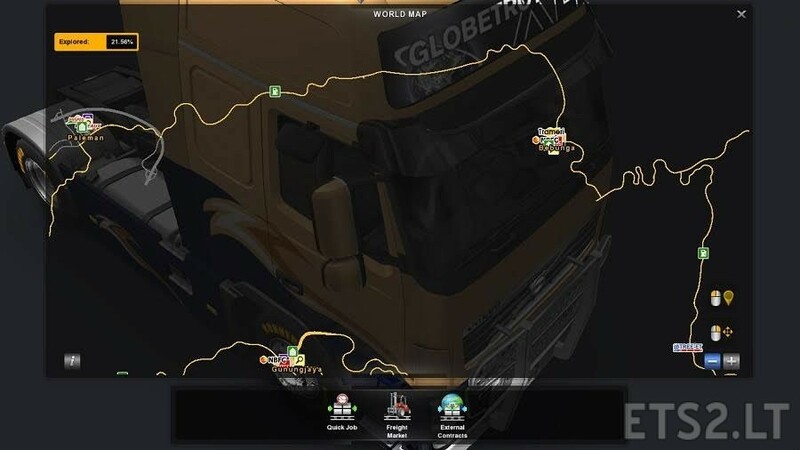 Buka map editor, lalu pilih item properties dan klik titik (node) jalan yang diinginkan, terus centang pada ‘left hand traffic’ kalau ingin buat jalur kiri. Begitu juga dengan prefab (seperti pertigaan/perempatan) dengan cara yang sama namun harus ganti dengan nama prefab yang berakhiran uk. Semoga membantu, terima kasih…. 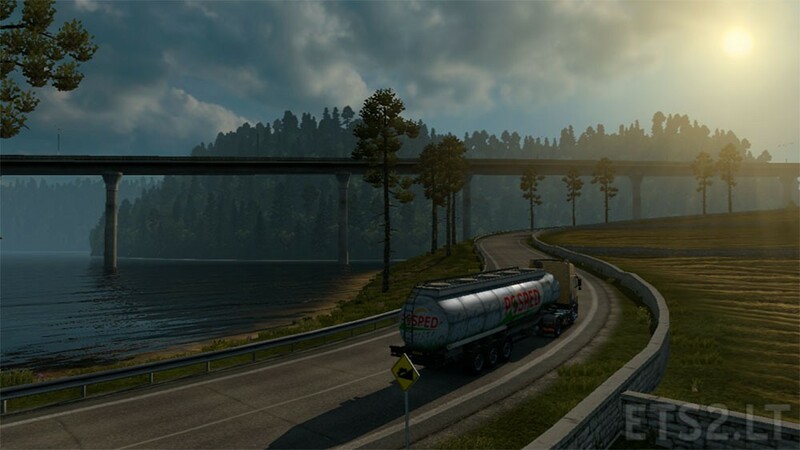 I have ETS2 v.1.24.2 + Go East + Scandinavia + RusMod + ProMods installed. Recently I’ve installed your Indonesia mod, but the problem is that there is no traffic. I mean no cars or trucks are driving on those Indonesia roads. Empty roads. Just a couple of parking trucks at gas stations. Is there any solution for this problem ? Have you checked the gamelog.txt? Maybe there are some errors there. And this problem also happen in the highways of this map? Unfortunately now I’m playing Truck Sim Mod 6.3. So I’m not focusing on your mod now. Maybe later. please note that you have to load first the PJ map and then the EAA map. the only thing is that the map is above EAA map and not on the south east of europe. how to solve this? I should move this map to the south of europe? aucune nouvelle pour rendre la map compatible ?